With construction wrapping up on the civic center complex, staff will begin moving into the new facility over Memorial Day weekend. As a result, the temporary City Hall location on Jimmy Durante Boulevard will close May 24 at noon. Contacting the city will be difficult until at least the following day since the phone system will be shut down for the move. Officials are encouraging residents to conduct any necessary work before that time. The city will reopen for business at 1 p.m. May 29 in the previous site at 1050 Camino del Mar. Meanwhile, planning is underway for the official dedication ceremony, scheduled from 11 a.m. to 2 p.m. June 30. In addition to the traditional ribbon cutting, the event will include self-guided tours of the new facility (with information docents available), an activity corner for young attendees hosted by the Del Mar Foundation and Del Mar Historical Society, a photo booth and food catered by a local Del Mar eatery. The $17.8 million project will feature an 8,855-square-foot City Hall for administrative functions, a 3,104-square-foot Town Hall with seating for up to 250 people and 140 parking stalls in a partially below-grade structure and surface lot. It also includes a 15,000-square-foot public plaza and 934-square-foot breezeway. Construction began in mid-2016. Despite some unexpected construction and weather delays, the project is set to come in on time and within budget. 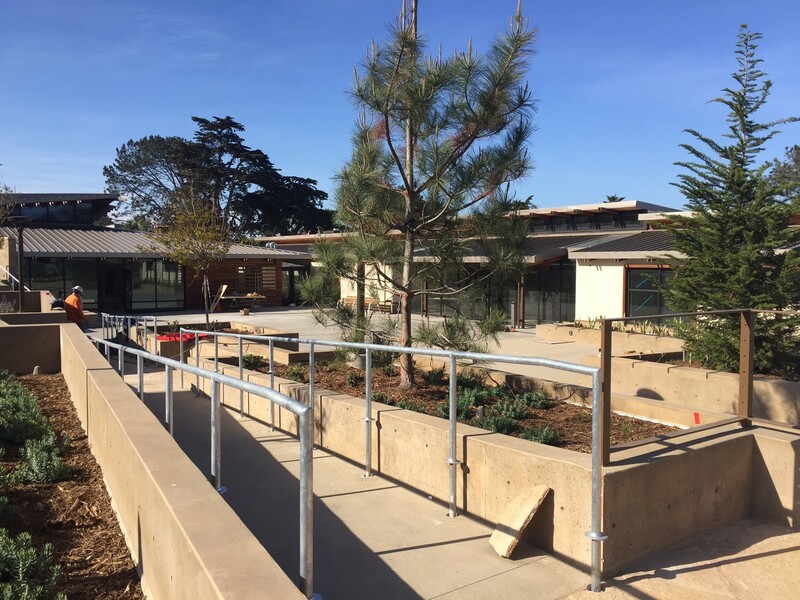 The previous facility — built in the 1920s for Del Mar’s first public school, which later became St. James Academy — was the seat of city government since the mid-1970s. When the city bought the building more than three decades ago the intent was to use it as a temporary home for City Hall. Through the years it began to deteriorate, to the point where only half could be occupied because of safety reasons, including water leaks and environmental hazards. It had no indoor bathrooms, limited space for the public to do business and cramped space for employees. The new facility will be available for public events, but on a limited basis for the first year.